Physician-owned and founded over 48 years ago, MicroPath Laboratories is an independent diagnostic and consultative anatomic pathology laboratory located in Central Florida and staffed by board certified pathologists with multiple areas of sub-specialty expertise. 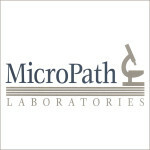 What services does MicroPath Laboratories provide? 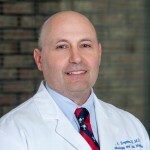 MicroPath Laboratories provide anatomic pathology testing to physicians, hospital laboratories, endoscopy centers, ambulatory surgery centers, multi-specialty clinics, and national clinical laboratories. A pathologist is a doctor who specializes in medical diagnosis and who interprets and diagnoses the changes caused by disease in tissues and body fluids. A frozen section occurs when the pathologist freezes and microscopically examines a tissue specimen provided during a surgical procedure. This allows for an immediate diagnosis that aids in the surgical management in real-time. What do pathologists have to do with tests done on my blood or urine? Pathologists perform professional services as well as technical services. The variety of billing arrangements for pathologists’ services includes professional component billing. While the hospital might bill the patient for the pathologist’s technical services, the pathologist can bill the patient, the patient’s insurer, or the hospital directly for professional services. Why have I received a bill from MicroPath Laboratories? Your physician has chosen MicroPath Laboratories to diagnose and interpret the specimen collected on the day of your surgery or office visit. Our laboratory billing department will bill the listed insurance provider. For additional details, please visit our payment information page or call our billing office at number listed below. 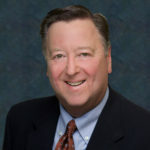 Who can I call if I still have questions regarding my bill? A Patient Representative is available to assist you Monday through Friday, 8:00a.m. until 4:00p.m. at (863) 683-7171. Please call with any questions or concerns.